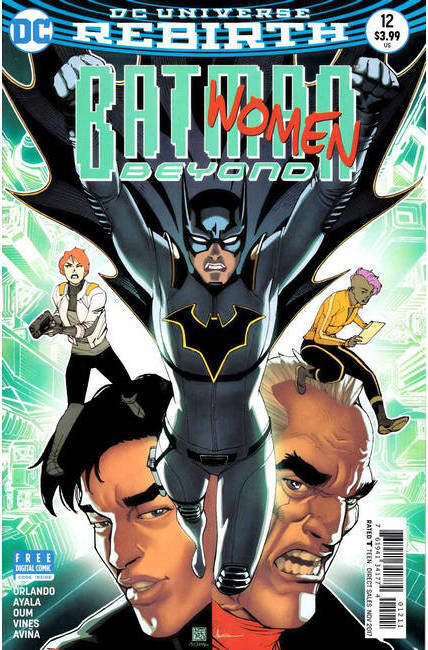 In a special issue by the guest team of writers Steve Orlando and Vita Ayala and artist Siya Oum, Batman and Bruce Wayne are away-so who's left to protect Neo-Gotham? Enter Nissa, the seldom seen 15-year-old Batgirl of the future! Crime and corruption lead Commissioner Barbara Gordon to the lawless neighborhood of Crown Point where she soon finds herself under siege. Can this young, self-made caped crusader save Gordon without the resources of Batman?